Twinzik was created in 2006 by Texan fraternal twins Hee-Hee and Hopie. 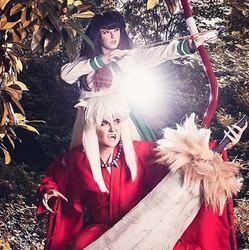 Known for their obscure and fun character choices, award-winning skits, story-telling walk-ons, and detailed prosthetics, makeup, and wig styling, the twins try their best to be an example of how fun and friendly cosplay should be. From Adventure Time to The Wild Thornberrys, Final Fantasy to X-Men, Twinzik has a broad range of character personalities and skills, which range from comedic to dramatic. Taking over twenty awards in cosplay contests, Twinzik enjoys meeting new friends and creating wonderful memories at each event they attend, while teaching a thing or two in their panels!